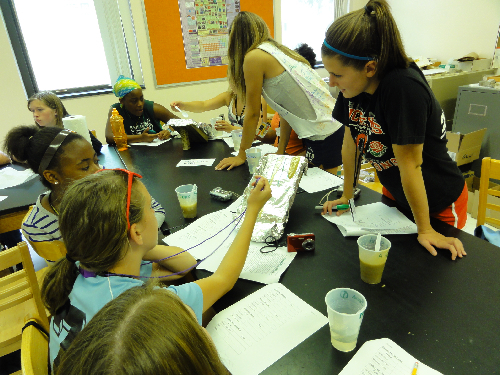 Campers from the Buckeye Women in Science, Engineering, and Research (B-WISER) science camp visited the Geology Department last Thursday to study the role of lava viscosity in volcanic eruptions. We used corn syrup as our ‘lava’ and experimented with ways to increase and decrease the viscosity. Some of the girls added bubbles to their syrup using highly technical equipment (straws). After the experiments, we held races for the fastest and slowest lavas. The results were too close to call - at least three groups came out on top at the end of each race. Although it was a sticky experiment, I think we all had fun in the end. 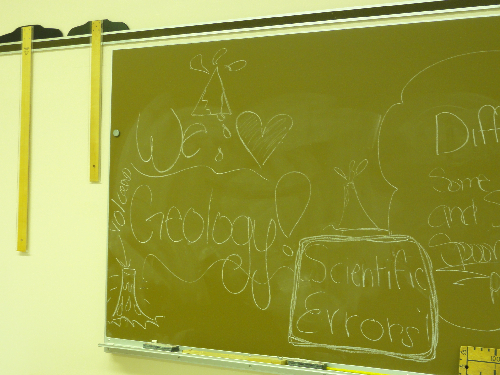 In fact, the girls weren't shy about expressing their excitement about geology. To top it all off, I received a special thank you – a serenade by the girls. Here it is: the twinkle remix.